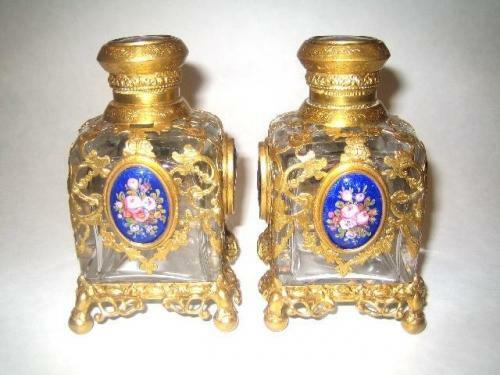 Exceptional Pair of Museum Quality French Perfume Bottles. Each Feature 5 Hand Enamelled Panels Depicting Delicate Flowers against a Blue Background. They have Intricate Original Mercurial Dore Bronze Mounts and Stand on 4 Ball Feet. Inside Stoppers Present.